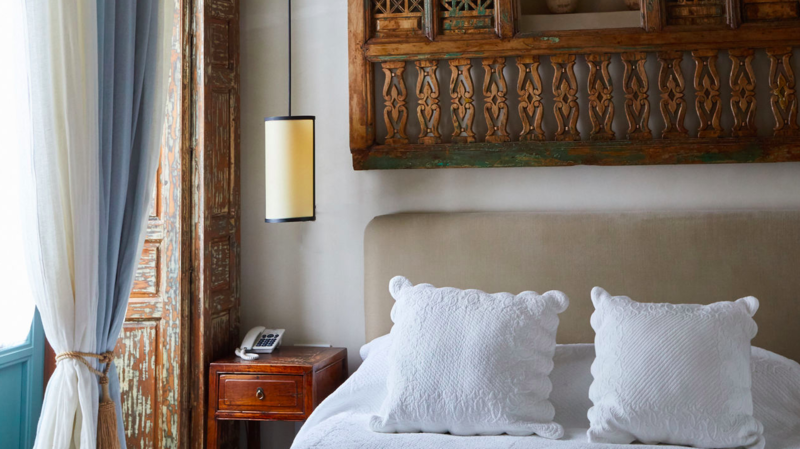 Tucked away in the winding streets of Seville’s Alfalfa neighbourhood is the intimate Corral del Rey, a boutique hotel that lives up to its name as a place fit for royalty. 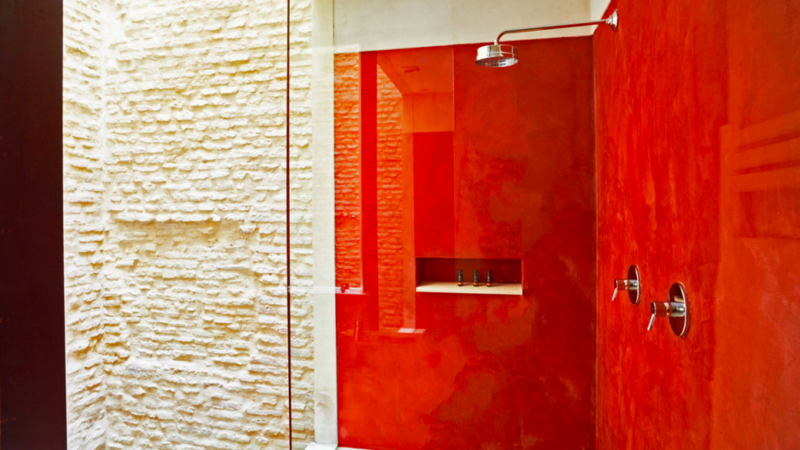 Surrounded by a labyrinth of winding, cobble-stone streets in Seville’s historic quarter, Corral del Rey is an elegant and funky thirteen-room hotel in a building that dates from the 17th century. 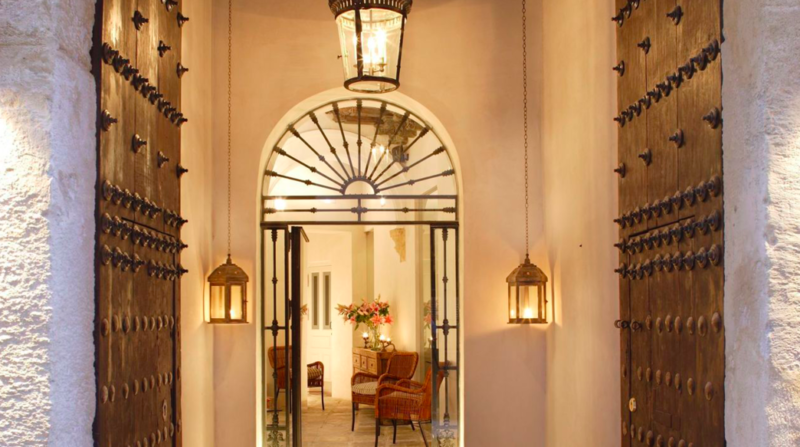 Corral del Rey is an intimate boutique hotel tucked away in a maze of winding streets in Seville’s old quarter. 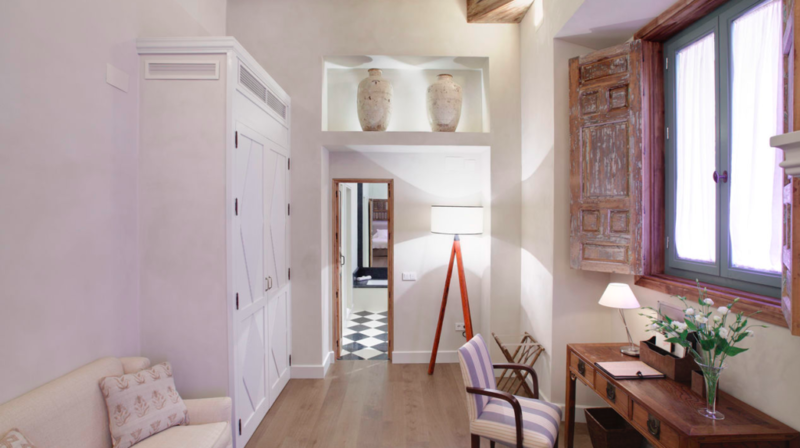 The building dates from the 1600s, giving it a historic charm to match its luxurious modern renovation. Some of the architectural touches are especially evocative, like the Roman marble columns, huge carved wood beams and iron-studded oak doors. The hotel is spread over three buildings incorporating 16 bedrooms and a Penthouse Suite. The bedrooms are divided into 5 categories: superior, deluxe, junior suite, pool terrace suite and penthouse suite. 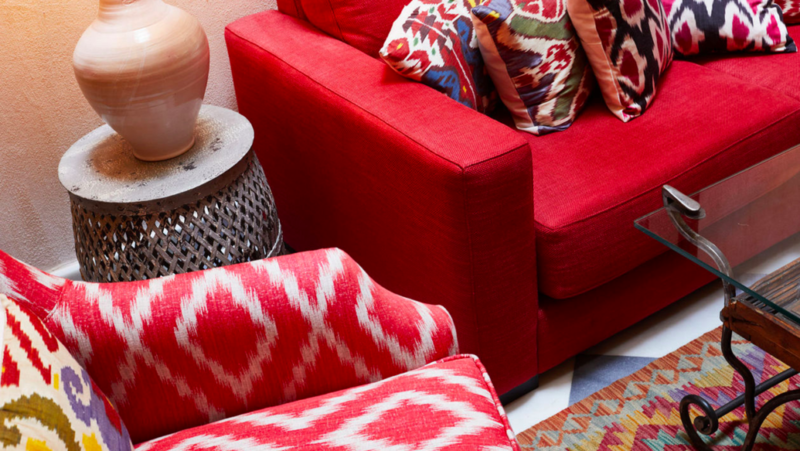 Each room has its own creative design in which interior designer Kuky Mora-Figueroa has stamped her individual and particularly appealing style, combining an eclectic mix of ancient and modern. The continental breakfast is served in the restaurant area in the main building between 8 am – 12 pm and includes coffee, tea, fresh orange juice, bread basket, condiments, fruit salad and yoghurt which will set you up for the day. There is also an a la carte menu with cooked breakfast options for an additional charge. In the building on the opposite side of the street of the reception, hotel guests can relax in a lovely lounge area with comfortable sofas and air-conditioning. There is also a well-stocked bar where guests can help themselves to cocktails, wine, soft drinks, water, coffee and tea to an additional cost. 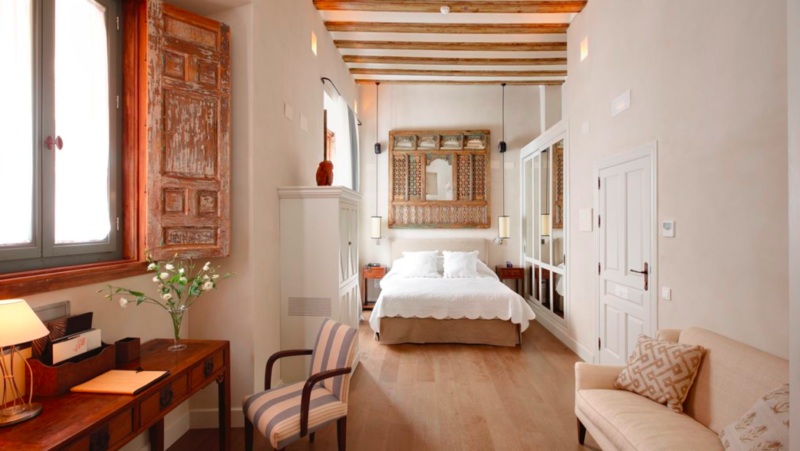 Located in Barrio Alfalfa, one of the old quarters of the city and near Seville’s famous cathedral, and a wealth of other historic sites this hotel is perfect for a weekend visit for travellers looking for a sophisticated boutique hotel rich in history. Prior to the arrival, the hotel provides useful information about activities such as shopping, the Spanish cuisine and various entertainment activities which can be pre-booked via the hotel.